Don’t lose out. Take advantage of our Midwinter Sale. 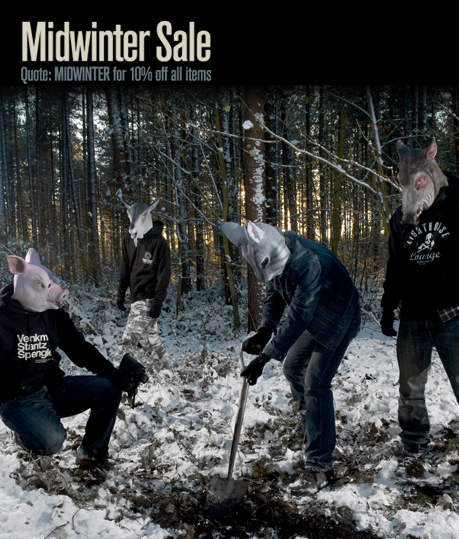 Quote MIDWINTER for 10% off all Last Exit to Nowhere items. *Offer ends 30th January 2011.